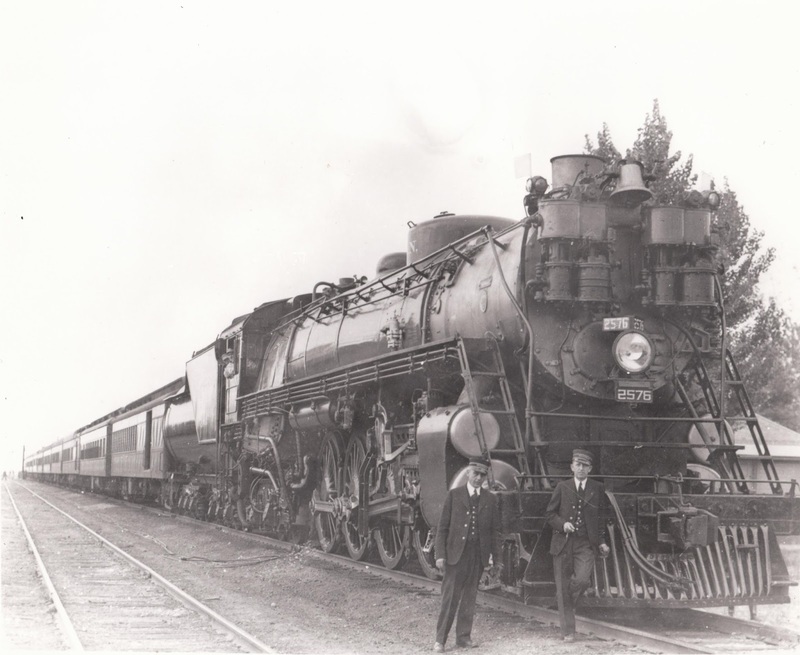 Franklin Roosevelt's special train to visit Grand Coulee Dam, as shown at Wenatchee, with (left) Conductor Barrett and (right) Brakeman Freddie Bowen. Interesting to find out what engine 2576 was about. I have a picture of the same engine with the engineers standing by it from a family collection. Do you know who is in your photo? I believe it's Harry Dean, my great grandfather.